Dassault Aviation said it would invest €100 million in its defense joint venture with the Anil Ambani-led Reliance Group. 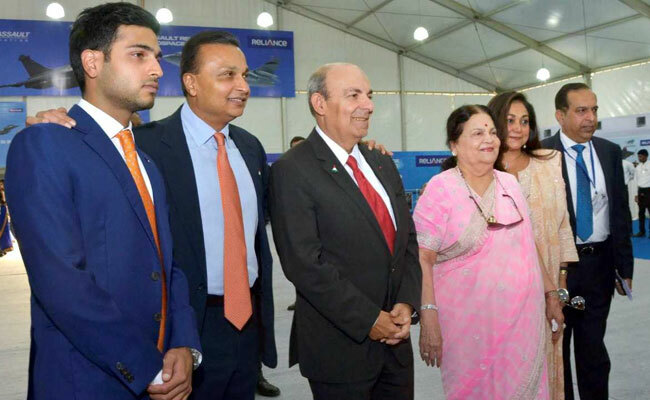 They laid the foundation stone for the Dassault Reliance Aerospace Limited (DRAL) manufacturing facility in the 6,500 crore Dhirubhai Ambani Aerospace Park (DAAP), Mihan, near Nagpur, Maharashtra. The plant is expected to start production in 2018. Reliance Aerostructure will hold a majority 51% in DRAL, while 49% would be held by Dassault Aviation. What they do: The facility will manufacture several components of the offset obligation connected to the purchase of 36 Rafale fighters from France, signed between the two governments in September 2016.